[4-traders press release] — Last week, Corus Entertainment Inc. announced changes to its management team that will align leadership around the Company’s newly organized business units. With these changes, the Corus Kids vertical will be led by Colin Bohm, Vice President, Television, Head of Corus Kids, who will be responsible for overseeing the Company’s kids-targeted specialty television services as well as Nelvana Studio and Nelvana Enterprises. Antoine Erligmannhas been appointed Co-Head, Nelvana Enterprises – Antoine will manage the global distribution and licensing of the Nelvana portfolio of brands in Europe, the Middle East and Africa. Andrew Kerrhas been appointed Co-Head, Nelvana Enterprises – Andrew will manage the global distribution and licensing of the Nelvana portfolio of brands in the Americas and Australasia. Jerry Diaz will continue in his role as Vice President, Worldwide Sales & Distribution, responsible for placing Nelvana’s new and library brands with global broadcasters and digital partners. Jerry will report to Antoine and Andrew. On the production side, working with the Nelvana Enterprises team, Irene Weibel will continue in her role as Vice President, Head of Nelvana Studio, with ongoing responsibility for developing and producing new content for Corus’ Kids television assets, global licensing and broadcast partners. Founded in 1971 as a small independent studio, Nelvana is now one of the world’s leading international producers and distributors of children’s animated and live-action content. Nelvana is comprised of Nelvana Studioand its distribution arm Nelvana Enterprisesand owned by Corus Entertainment Inc. Nelvana Studio is a globally recognized studio that produces a stable of award-winning and globally renowned brands that focus on comedies, preschool, boys and live action. Leading boys action brands include anime series BEYBLADE: Metal Fury,BEYBLADE: Shogun Steel and Bakugan. Nelvana’s content airs on Corus Entertainment’s kids channels in Canada and in over 160 countries around the world. The Nelvana library has well over 3,800 episodes of programming and has received over 70 major international program awards including Emmys® and Geminis. Visit the Nelvana website at www.nelvana.com. 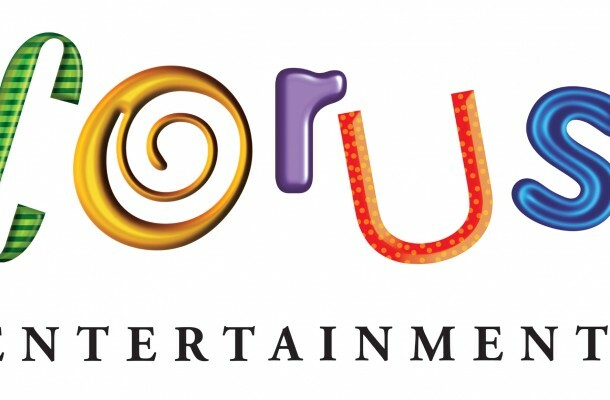 Corus Entertainment Inc. is a Canadian-based media and entertainment company. Corus is a market leader in specialty television and radio with additional assets in pay television, television broadcasting, children’s book publishing, children’s animation and animation software. The Company’s multimedia entertainment brands include YTV, Treehouse, Nickelodeon (Canada), ABC Spark, W Network, OWN: Oprah Winfrey Network (Canada), Cosmopolitan TV, Sundance Channel (Canada), Movie Central, HBO Canada, Nelvana, Kids Can Press, Toon Boom and 37 radio stations including CKNW AM 980, 99.3 The FOX, Country 105, 630 CHED, Q107 and 102.1 the Edge. Corus creates engaging branded entertainment experiences for its audiences across multiple platforms. A publicly traded company, Corus is listed on the Toronto Stock Exchange (CJR.B). www.corusent.com.